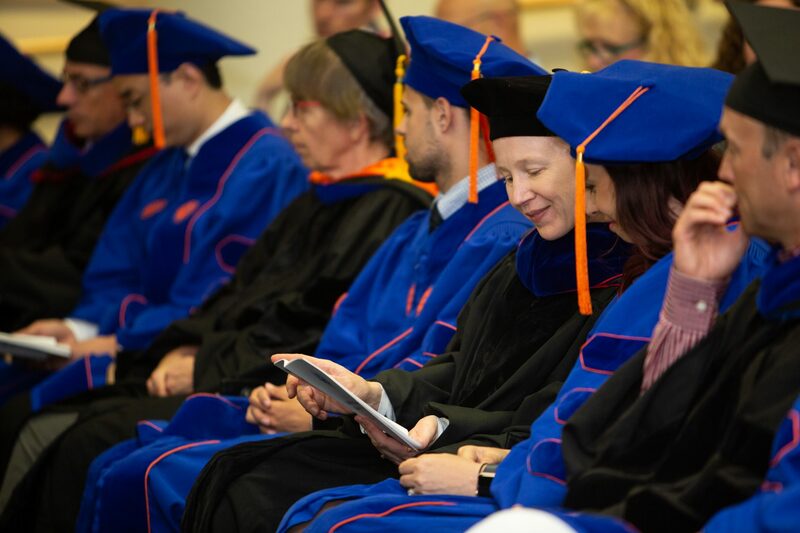 May 4, 2018 — The 2018 UF College of Medicine graduate convocation was held May 3 in the UF Cancer and Genetics Research Complex auditorium. 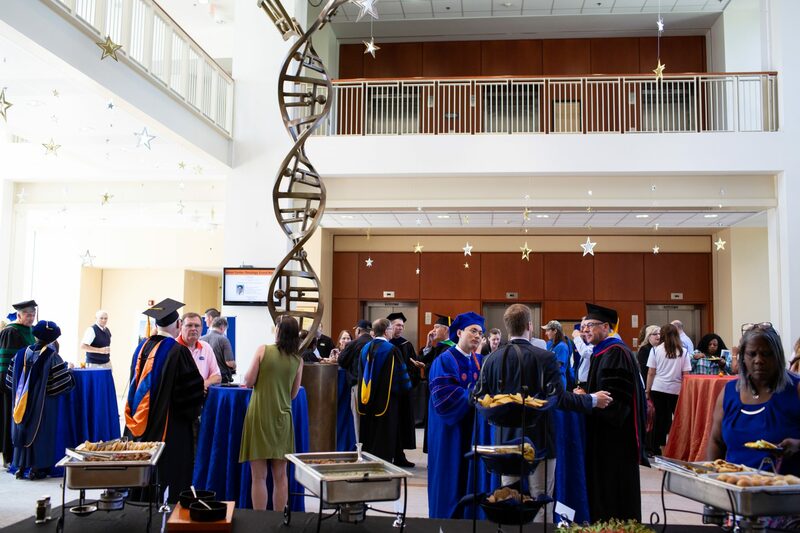 Twenty students were recognized for receiving master’s degrees, and 25 students for doctoral degrees. 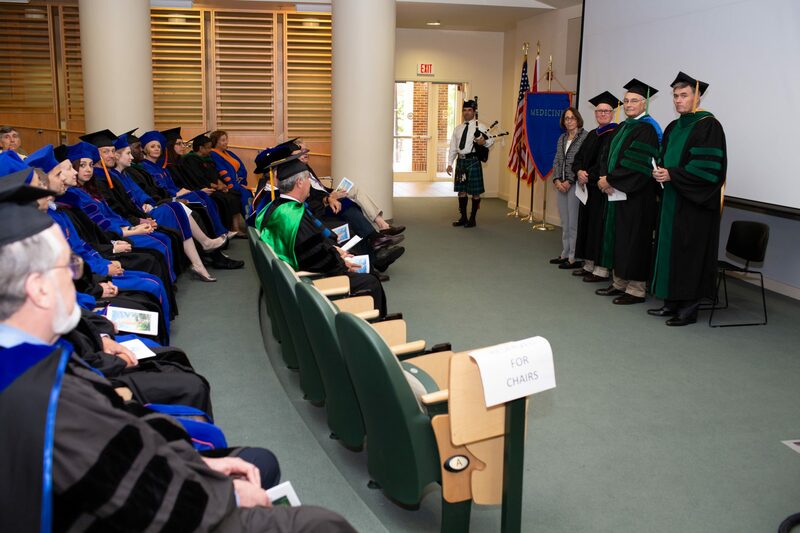 After a bagpipe processional, Thomas Rowe, Ph.D., associate dean for graduate education, greeted the crowd of faculty, students, family and friends with quotes from Jane Goodall about the large impact each individual can have on the world. 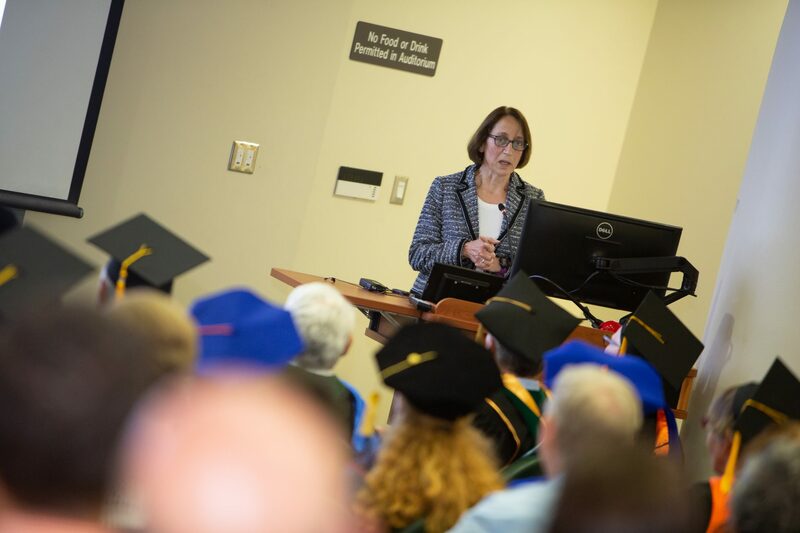 Laurence Morel, Ph.D., a professor of pathology, immunology and laboratory medicine, gave this year’s faculty address. 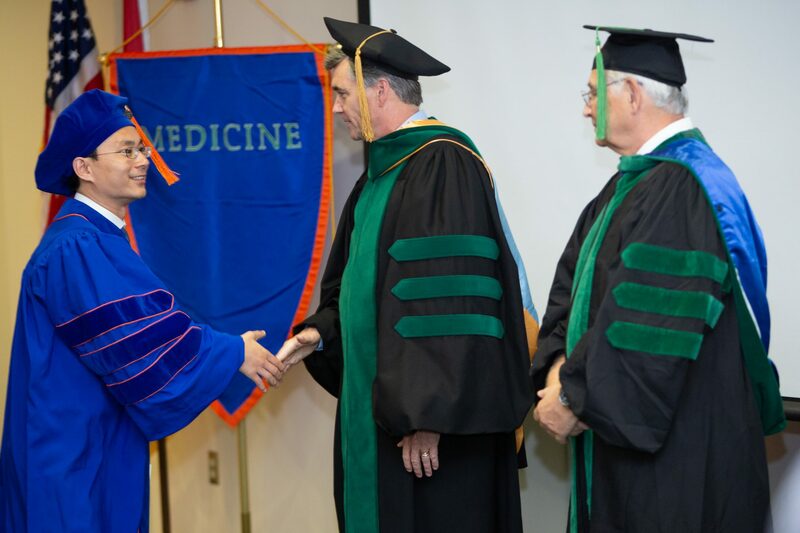 She congratulated the graduates for being integral parts of the UF College of Medicine’s recent success: This fiscal year marks the first time the college’s National Institutes of Health awards have exceeded $100 million. 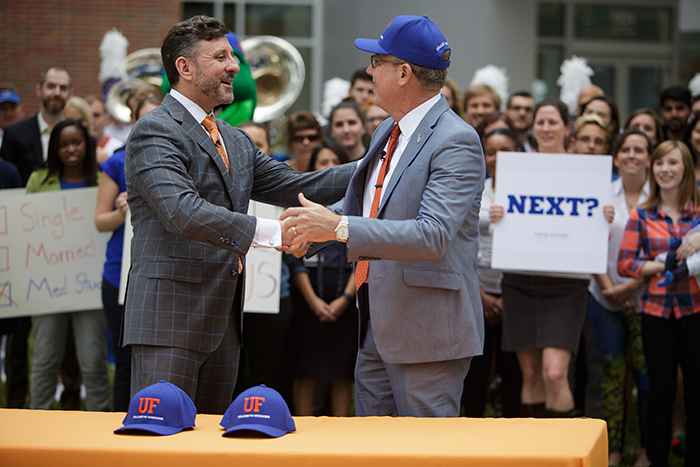 As they set off on their careers, Morel advised the graduates to be optimistic, passionate, grateful and involved. 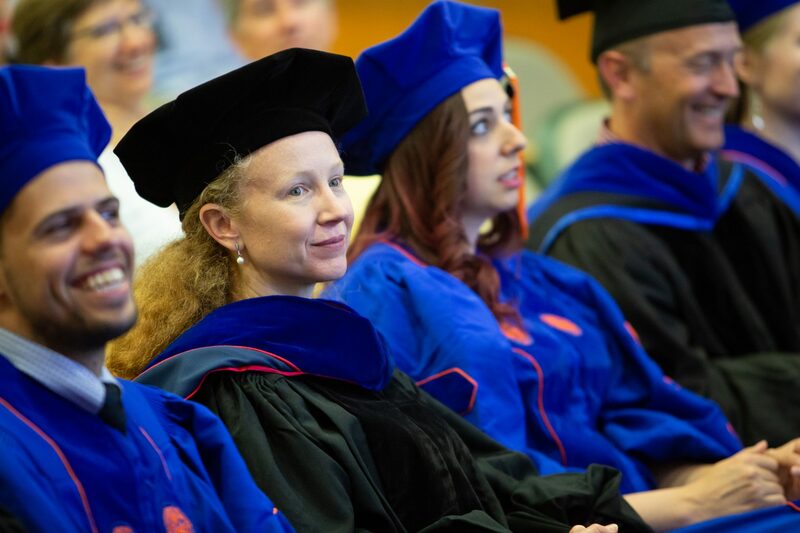 Morel discussed the current gender gap in science, referencing an article featured last month in the Atlantic, which notes a new study estimating it will take 16 years for women and men to publish scientific papers in equal numbers. 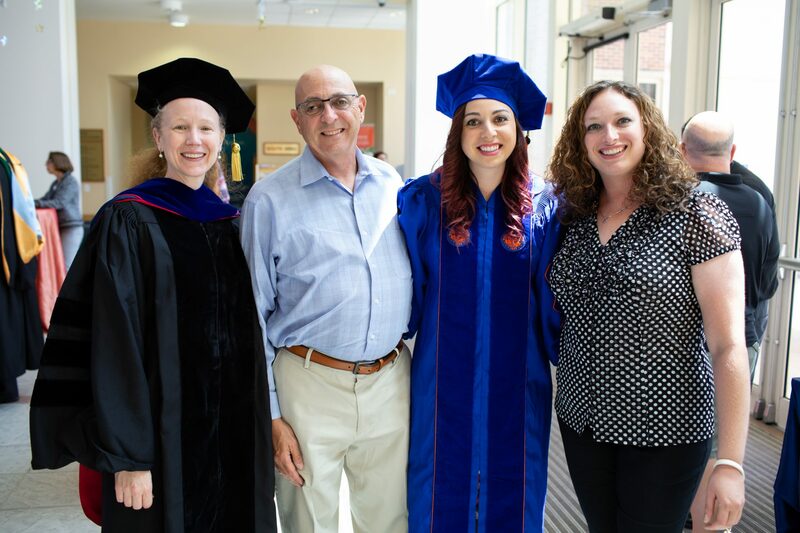 She outlined the benefits of a diverse workplace and called for change at an international level. 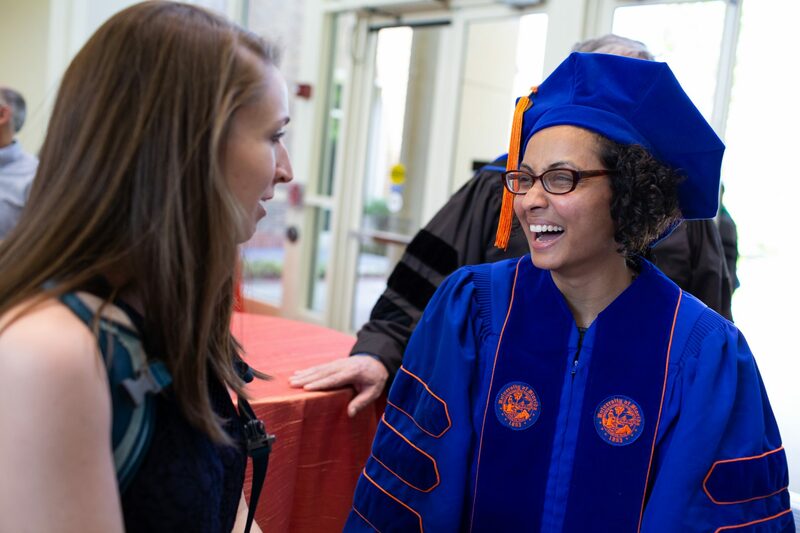 “We need to advocate for and mentor young women in science,” she said. 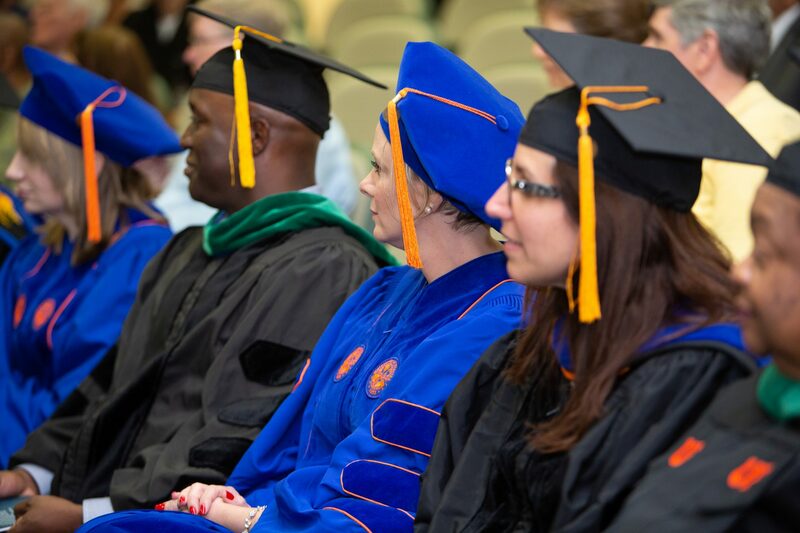 UF College of Medicine Dean Michael Good, M.D., gave the closing remarks for the ceremony by congratulating the graduates for their achievements and advising them to explore their natural inclination toward leadership.